The radio crackled, “Rachel, calling Rachel”. We’d been on Levera Beach for no more than 15 minutes. We’d just finished setting up our makeshift beach beds (yoga mats on the sand), and finished the briefing about our duties for the night. This was definitely not like our stay at Mount Cinnamon Grenada! Our shift ran from 7:30pm to 7:30am. The sound of the radio was music to our ears. We were volunteering near the end of Leatherback Turtle nesting season, so our chances of seeing any large shelled friends were a bit slim. Our eyes lit up, we grinned from ear to ear and anxiously awaited for Rachel, the Project Supervisor, to tell us what to do. “OK guys, there’s been a turtle spotting”. “This isn’t ‘our’ turtle and the other team will be taking point on this one, but you can go down the beach to have a look”. Armed with our headlamps, water bottles and a (heavy) duffel bag filled with research materials, we set off down the beach under the glow of the moon, which was just 2 days away from being full. Red light from our headlamps helped guide the way so we wouldn’t trample any baby hatchlings at our feet, or trip over any driftwood and rocks on the sand. Rachel was talking about work, where she’s from, travelling around Canada, etc. and while we were listening, our minds were completely preoccupied with getting to the turtle. We had no idea how long the nesting process would take. Would the mother arrive on the beach, lay all her eggs and leave within 15 minutes? Would she arrive on the sand, get spooked by people or something else and just head back to the water? It felt like an eternity before we finally reached the turtle. There she was, a dark shadow on the sand surrounded by 3 other Ocean Spirits team members, including Grenadian team leader Lawson. 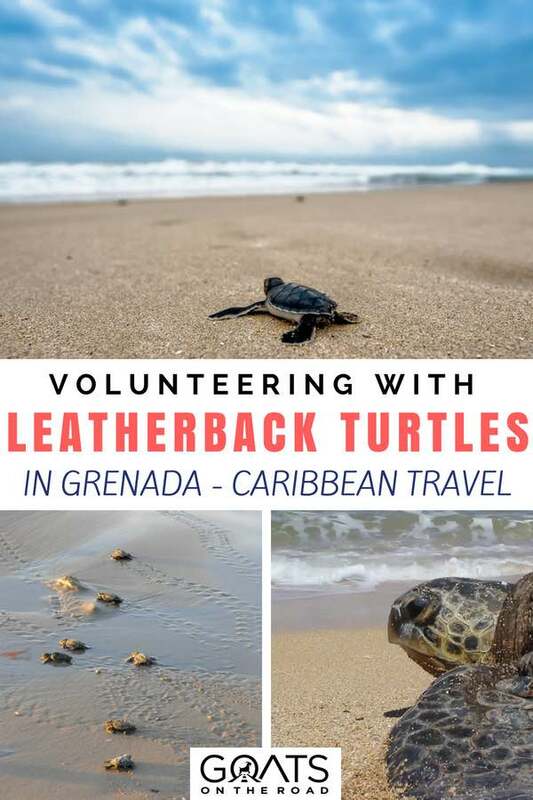 The non-profit organization has been leading sea turtle conservation in Grenada since 1999, and when we arrived at our first Leatherback spotting, their knowledge and professionalism shone through. Nick and I were buzzing with excitement and could not get over how ginormous this prehistoric creature was! We watched in awe as she created a “body pit” in the sand and partially submerged herself. This was followed by carefully digging a deep “chamber” where she would drop her eggs. Alternating between each back flipper, she delicately scooped out a bit of sand and placed it to the side. She repeated this slow and methodical movement until the chamber was about 75cms deep. She stretched as far as she could, but when her flipper could no longer reach any sand to remove, the chamber was finished. When she stopped digging, that was the signal that she was prepared to deposit her eggs. 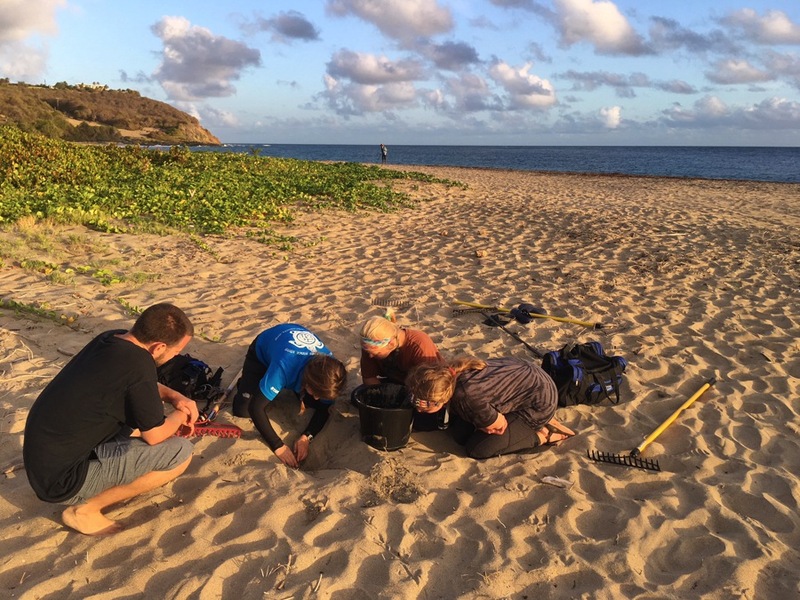 Seeing our first Leatherback Turtle (ever) was an incredible feeling, but this wasn’t our team’s turtle and apart from measuring the length of her shell, we weren’t able to do much more. We left this turtle and continued on down the beach for another 350m. Nick and I were thrilled to have seen a turtle, but we were greedy and wanted our own. Down the beach we continued – this time with only our team, which consisted of us two, Rachel and Ann. We’d only been on the beach for about 2 hours by this point, and already our calves and glutes were feeling strained from walking on the uneven, soft sand – perfect for nesting, not perfect for walking. As well as tagging, recording data and assisting with egg counts, our job was to patrol the 750m long beach the entire night in shifts with the other team. Sadly, there’s still poaching of turtle eggs here in Grenada, as the locals eat the eggs and sell them to friends and family. 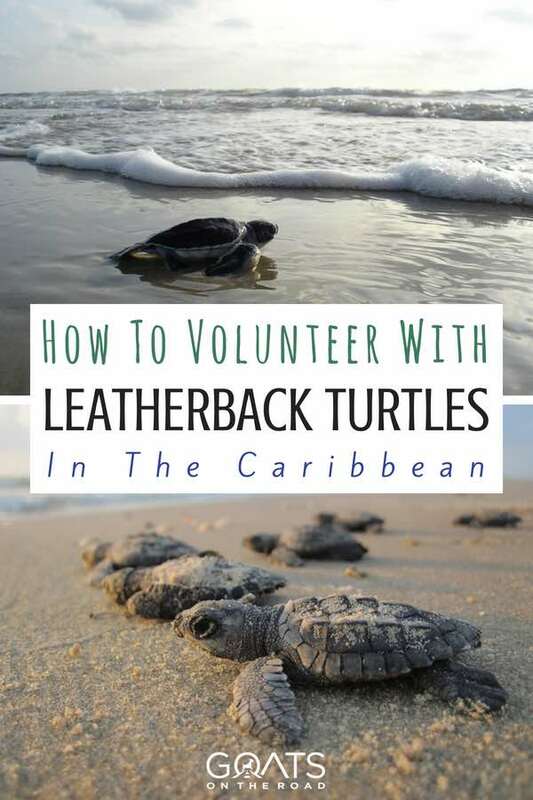 Ocean Spirits is doing their best to educate the community about the value of Leatherback Turtles in terms of tourism, and the ecosystem as a whole. The organization has helped to reduce the human threat to the eggs immensely. In 2000, a whopping 90% of egg nests were illegally poached. Now, less than 5% of nests are stolen on Levera Beach. As we reached the end of the beach, we sat down to take a 30 minute break. Just as Rachel got comfortable and was ready for a snooze, I spotted something. “Um, is that a turtle?” It was dark and could have been just a boulder in the sea. Not only was it our second turtle of the night, but we actually got to see one emerging from the sea. Now that was an incredible sight. The dark figure grunted and groaned as she made her way out of the pounding surf and onto the beach. Flipper by flipper she hauled herself up the sand and safely away from the waterline. Once she found the perfect spot to lay her eggs, she began the exact same process as the first turtle we saw – body pitting and canal digging. But this time, Nick and I were able to assist with the data collection and egg count. There we were, on our 11 year anniversary, laying flat on the sand on our stomachs, face to face with a Leatherback’s backend, and about to watch her drop her eggs. How romantic! Nick gently held her back flipper out-of-the-way as I donned my latex glove and got the tally counter ready. In increments of about 3 she started depositing eggs. My entire arm was in the sandy canal as I caught each egg and added it to the counter. I imagined the eggs would be hard-shelled, but they were soft and easily dented. They were somewhat slimy, but the odour was minimal. In total, she laid about 90 eggs, but they can lay over 100. Some of the eggs were the size of a cue ball, while others were the size of a marble. Fertilized vs. unfertilized. The mother gave us the signal that she was done by pulling her flipper away from Nick’s hand. At that point, she began to cover up her nest with sand, and camouflage the site by moving all around it to pack down the sand. She hung around for about 30 minutes before taking off back into the water. Apart from coming ashore to nest, the females live their lives entirely in the sea. Mating happens in the water, and the males never go on land. We waved goodbye to our second turtle and were feeling incredibly grateful for the unique experience. As the night progressed, more turtles came ashore. I had some sort of turtle radar that night. Turtle! Oh, there’s a turtle! Wait, is that another turtle! At one point our team of 4 had 3 turtles on the beach. We shared the duties of measuring the carapace length and width, checking the tags and microchips to see where they came from, counting eggs, recording where the nests were, and we even tagged a turtle. Typically, the females who arrive on Levera’s shore have come from somewhere in the region, and had been previously tagged and recorded. Unlike other sea turtles who almost always return to where they were born, Leatherback’s will lay their eggs somewhere nearby. Turtles have arrived at Grenada’s shores from Trinidad, Tobago, St. Vincent, St. Lucia, Panama and Canada (which isn’t exactly “nearby”, but it happened!). We were surprised when a new turtle who had never been to Levera showed up. Nick tagged her back flippers, while the more experienced project supervisor embedded a microchip for tracking. Since this turtle didn’t have a name yet, we decided to call her Goat and we adopted her! She was 155cm long, 115cm wide, laid 106 eggs and was the 434th confirmed nest of 2018. Now we’ll receive updates on her status in the years to come. Pretty cool. 4:30am and 9 turtles later, we made our way back to where our yoga mat beds were placed. We hadn’t used them once that night. While the other team was snoozing from around 10:00pm to 4:30am, the 4 of us were busy working away at the far end of the beach, and we wouldn’t have had it any other way. 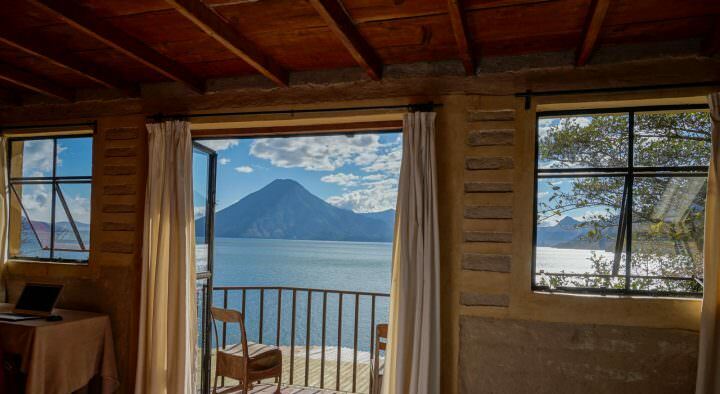 We gazed up at the stars, wrapped ourselves in a sheet and awoke around 6:30am to the sunrise. Phase two of our duties was about to begin. Hatchlings! After about 70 days, the babies start to make their way out of the buried nests and towards the sea. While most of the hatchlings do so at night (which is when they are supposed to), some can be a little late to the game, which is where Ocean Spirits comes in. As we were walking along the beach, Rachel spotted two little heads poking up to say hello – how she saw them on such a vast beach covered with seaweed and debris is beyond me. Gingerly, she pushed some of the sand away to help them out of their nest. I have no idea how Rachel spotted these two! At 7:00am, the sun was already blazing hot, the birds were circling and it was about time for dogs and humans to wake as well. These turtles wouldn’t have stood a chance on their own. They would have baked in the hot sand they were struggling to come out of, or would have overheated on their way to the sea. With Rachel, we collected the little hatchlings and placed them into a bucket filled halfway with sand. They would be kept in the safety of the volunteer’s house until later that evening when they would be released under the moonlight. From mothers trudging their way out of the sea to lay their eggs, to hatchlings scooting to the water to start their arduous journey, we were able to see the full circle of life. With the sunrise lighting up Sugar Loaf island across the way and a bucket full of baby turtles, we all returned to our vehicles, said our goodbyes and parted ways. 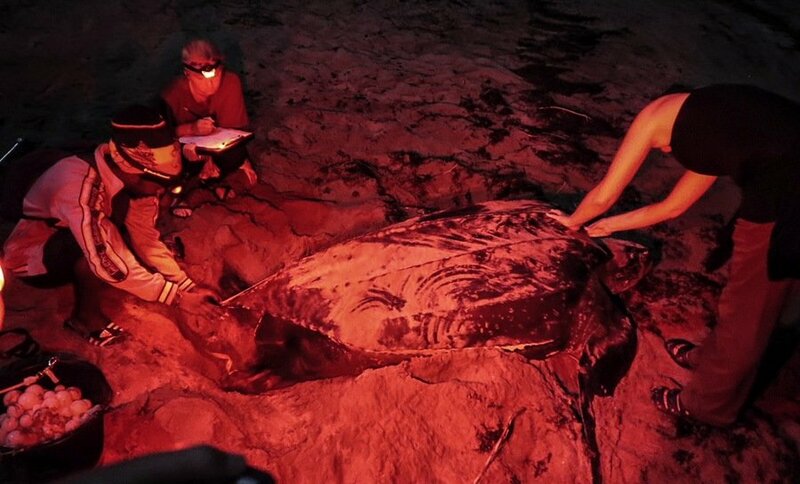 The conservation of these beautiful creatures is incredibly important and even though we played such a small role that night, we feel fortunate to have been able to witness the Leatherback Turtles in their natural habitat, and experience the nesting process. We have a huge respect for the Ocean Spirits crew and can’t thank them enough for the opportunity. It was definitely an anniversary to remember. As a visitor or a non-volunteer, this is one of the many things to do in Grenada that you won’t want to miss. 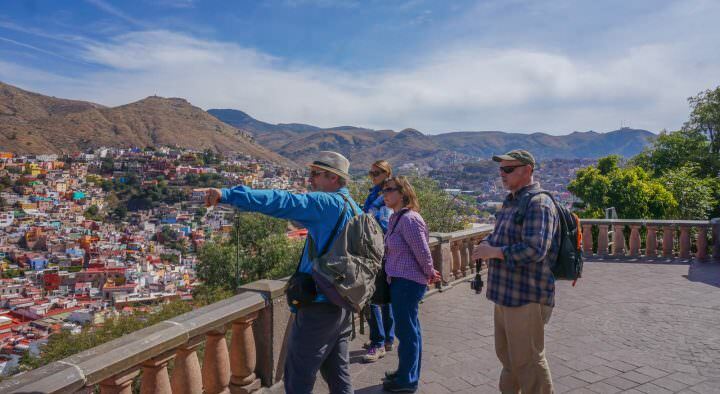 Your only option is to join a guided tour with SPECTO. Although they are a non-profit, the funds collected by this tour company don’t actually contribute directly to the research or conservation efforts of the turtles. Unfortunately, volunteering with the turtles for just one night (as we did) isn’t something that is typically offered by Ocean Spirits. If you want to get involved and become a volunteer, have a look at their programs available on Working Abroad. Most project durations range from 3 weeks to 12 weeks, but there are 2 week positions available if need be. 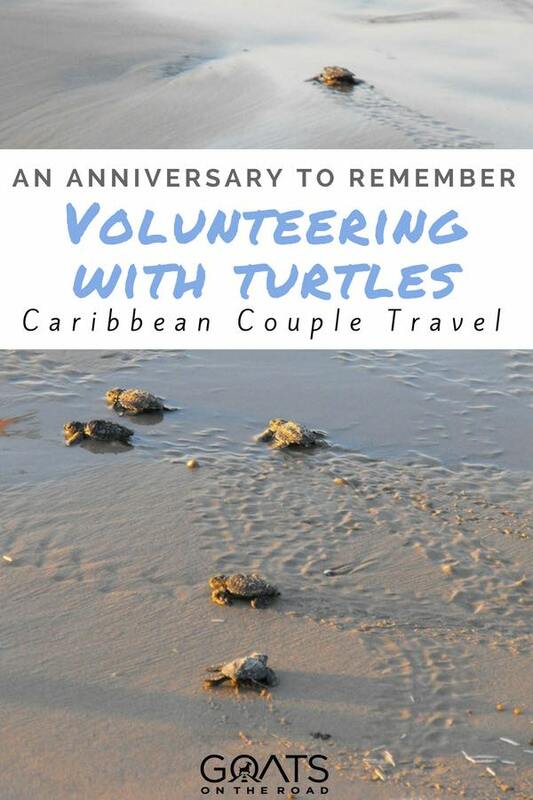 If you don’t have the time, or the means, to become a volunteer, you can help out the turtles and the Ocean Spirits organization in other ways. Ocean Spirits is a non-profit and they rely entirely on volunteers, grants and donations. They use the funding for research, community outreach (training local staff in research and conservation), educational programmes, summer camps, field trips and school presentations. 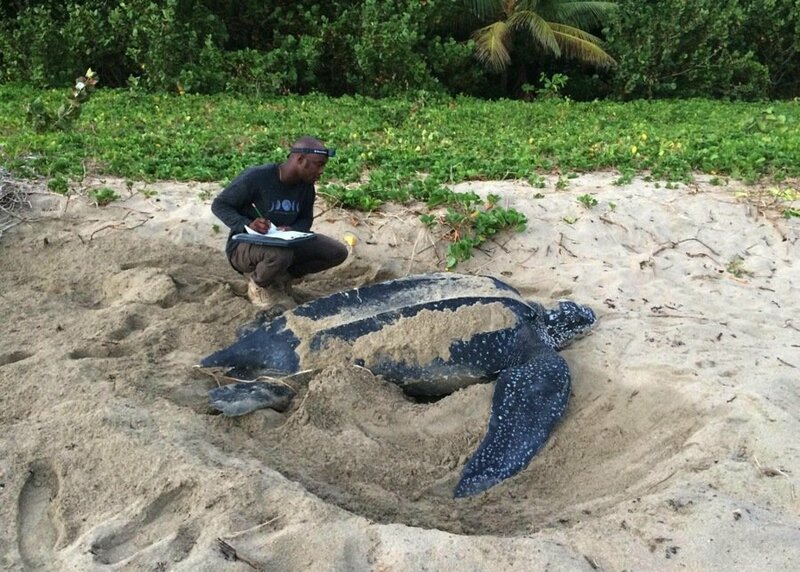 Click here to make your donation through WIDECAST (Wider Caribbean Sea Turtle Conservation Network), and choose “Ocean Spirits Grenada” as the project you wish to support. 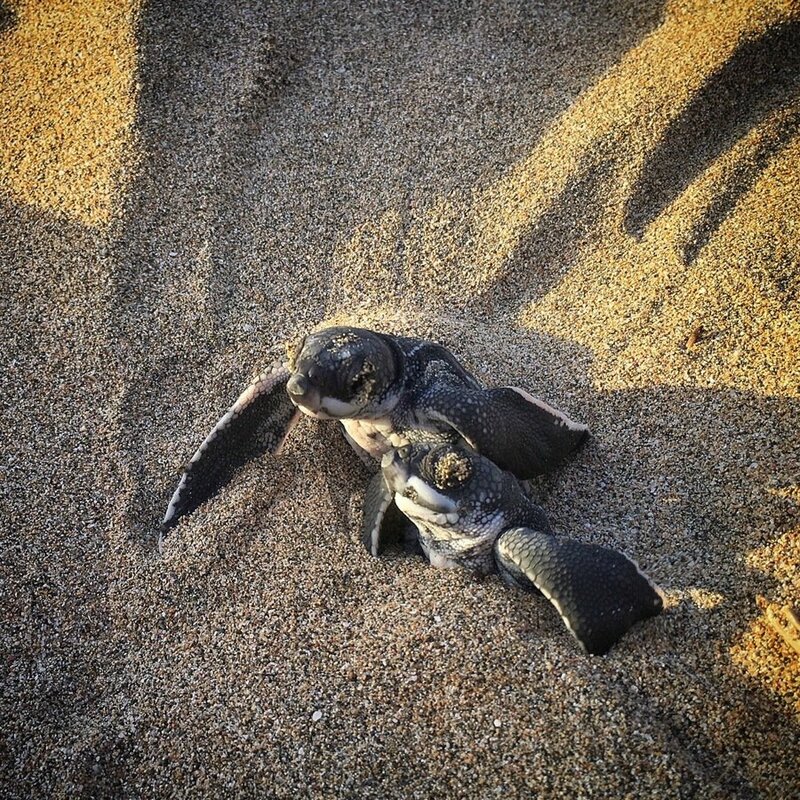 Other options for donation include purchasing T-shirts and adopting your very own Leatherback! 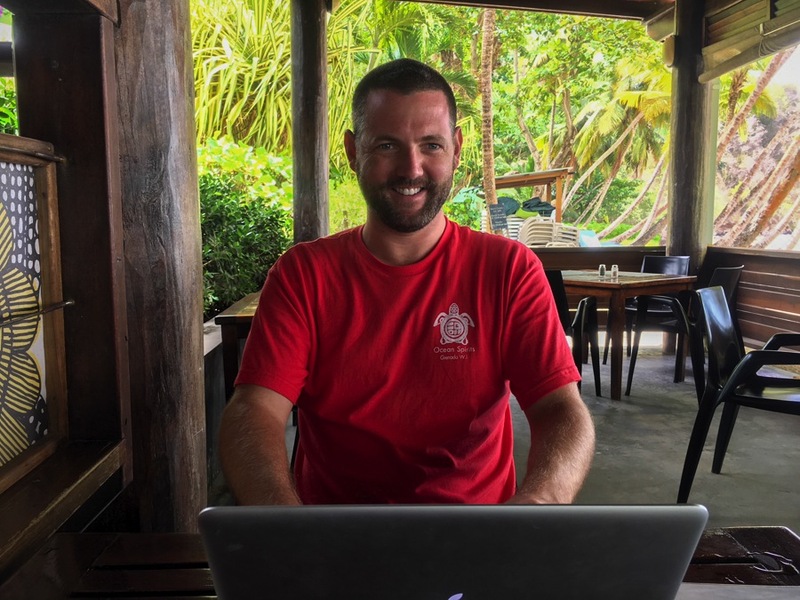 For more information on the incredible conservation work that Ocean Spirits is doing here in Grenada, and for how you can help, click here. They are one of the deepest-diving marine animals. Turtles have been recorded diving as deep as 1,280 m (4,200 ft)! They’ll typically stay down for 3 – 8 minutes, with longer dives of around an hour occurring infrequently. They are incredibly fast… in the water. In the 1992 edition of the Guinness Book of World Records, the Leatherback is listed as moving at 35.28 km/hour (21.92 mph). A more normal speed, however, is 1.80 – 10.08 km/hour (1.12–6.26 mph). Leatherbacks survive almost entirely on jellyfish, which is fantastic since jellyfish eat fish eggs and other larvae. Leatherbacks are a key component to helping control the jellyfish population. Pacific Leatherbacks migrate from Indonesia to California to feed on the jellyfish there. That’s a journey of about 6,000 mi (9,700 km) across the Pacific! A major cause for their endangered state is plastic bags floating in the ocean. Sadly, the Pacific Leatherbacks mistake these plastic bags for jellyfish and ingest them, which causes them to eventually die. Wow! You guys are truly making a difference and leaving your footprints on the world. 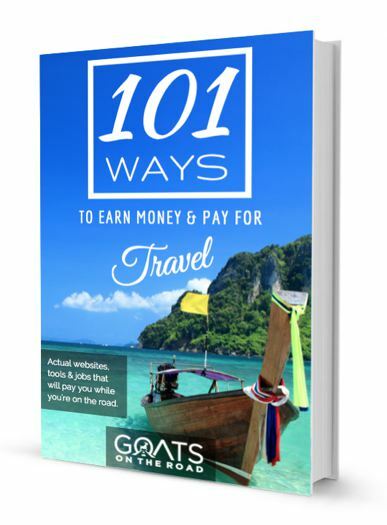 The article was informative and makes me want to help next time I am in Grenada. Hopefully 2019! Liking the Grenada adventure more and more, thanks for sharing! WoW! what a unique experience to be offered ~ Right there Up Close and Personal with these ancient massive beings! Thanks for all the information and facts. Canada !! some travel all that long way. 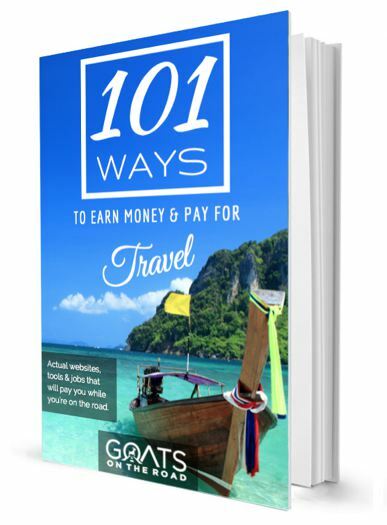 Another Grand Fabulous Adventure with the GOATS! Thank you Hayley Yes, the work that Ocean Spirits is truly making a difference, and they’re non-profit which is great. It was the first time we’ve done something like that, but it was a great experience. Thank you for commenting! I’ve seen turtles nest and hatch at both Selingan Island, off Malaysian Borneo and Lady Elliot Island, off the coast of Queensland but I am still envious of your experience! What a way to spend any night let alone your anniversary. Good on you both for what you do and keep it up. Thank you Lyle What kind of turtles did you see in Malaysia and Aus? !